Here are some pretty photos that inspired me, maybe they will inspire you too. I love the top image. Everything is in it's place and organized, just the way I like it! But it's also just a beautiful display. I need to clean out my closet and get my wintery clothes. 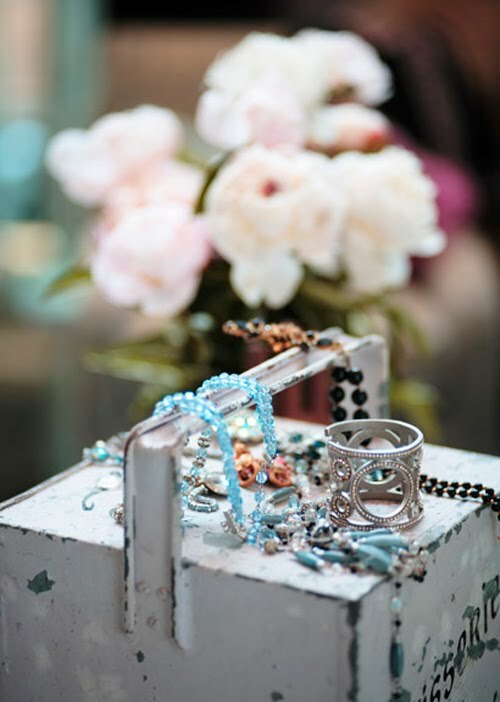 I love organizing my jewelry, those images are very inspiring! 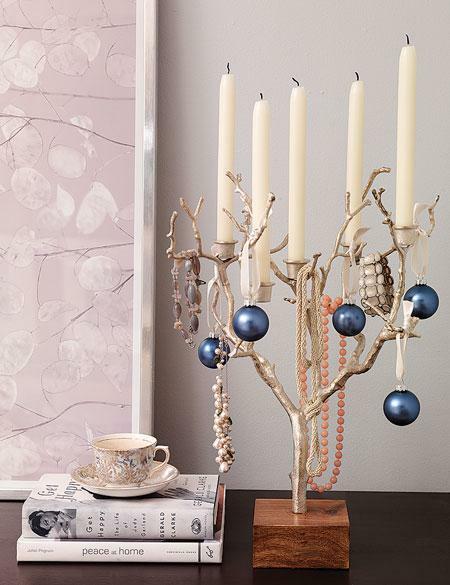 LOVE the image of the candlelabra with both jewels and christmas ornaments hanging from it! I love the last one, because the kitty looks like mine! I really like the candelabra idea, too. Oh I love seeing all of my jewelry out on display! What yummy pictures! I love the first picture! It looks like little candy dishes! 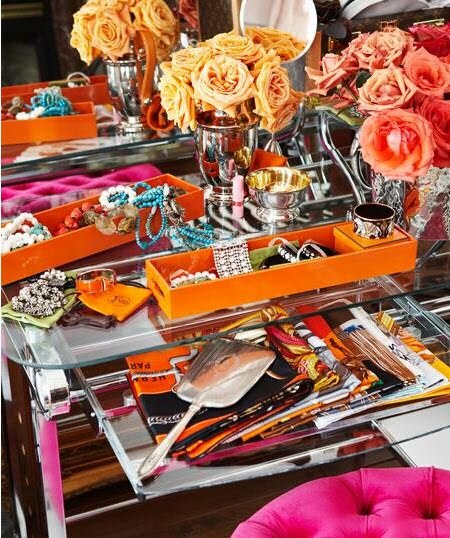 If I could ever get around to organizing my jewelry it would definitely be like that! yes. very inspiring. i LOVE those little bowls. i would never close that drawer. i especially love that little black one with roses. wow, house and home? really? with all that orange i could swear it was a hermes pictorial! 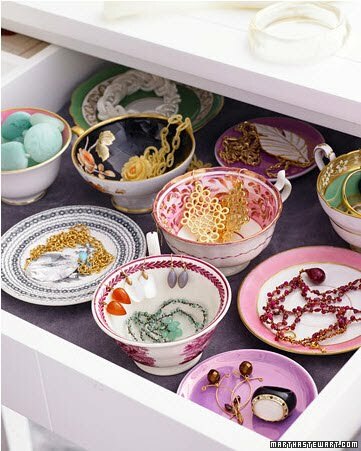 LOVE the bowls with jewelry! May just have to use that idea! WOW, the candlelabra jewelry holder. LOVE! 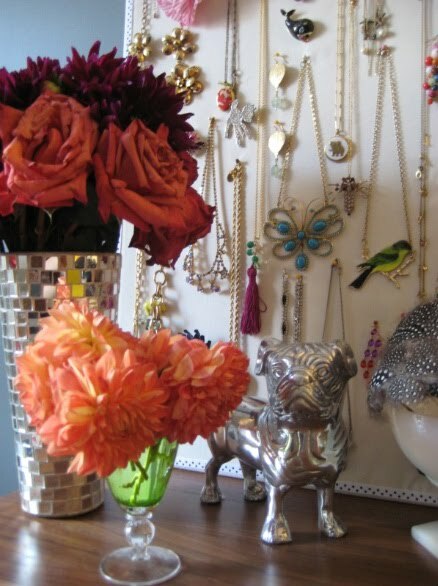 This makes me wish I had a little vanity to decorate with my jewelry; so many cute ideas. 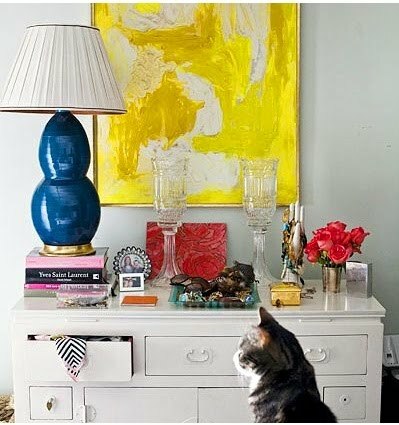 Wouldn't you love to open a drawer full of treasures like that?! Lovely images~! The second one is so calming... but also love the candelabra holder! 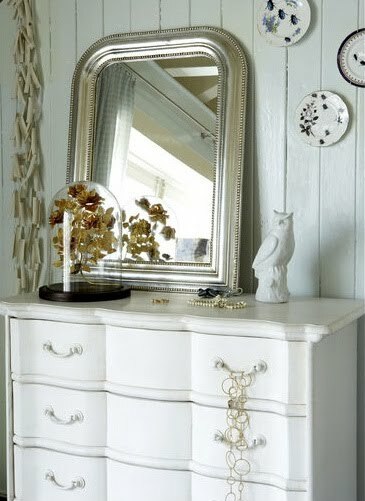 Thanks for including my dresser amongst all the other beautiful images. I'm so flattered! I love that first photo, gives me an idea for all my tea cups and saucers!